that does not display properly in explorer?? its working in explorer but got some issue to center the logo in the header for sum reason. Its working well with any other browser tho. I don’t see and PSD images in the file I downloaded. Am I missing something? @Laura : this theme is not included psd files. Trying to add another page, like the privacy. Would you be able to guide me in the right direction. Elegant. Loved it. Thank you for sharing!!! First you need to check permission on your files via ftp. Set to 755 is working well for me. And check that smpt is active from your provider. Its working fine for me I guess you’ll too. Hello! How can I stop the background sliding? Very nice design and effect. Love it!! How could I change all the sliding page to display as like the “Main” content? I’ve tried to copy and paste the “slider” div into the “dd” with ID “page2” but the css doesn’t change when I click on the “about us” bar. Amazing design. Love it. Can you include a work around for IE? Considering it is the dominant browser. The only thing that I can see not working in IE is the Header Logo. How do the sliders work for a single JPEG? Is that Jquery or HTML5? Thank you very nice? How can someone contract with you? Hi, how can I make the main slide to be open when open the web page without click on it?! i left them as dt3 and page3 because i want the second gallery to be on the 3rd tab..
but the second gallery (on 3rd tab) doesn’t want to work.. when i click on the tab 3rd tab, in which the second gallery is, to open, it opens normally. If i click on the images they will open normally too, everything is fine so far. how can i solve this? what can i do about it to make it work? 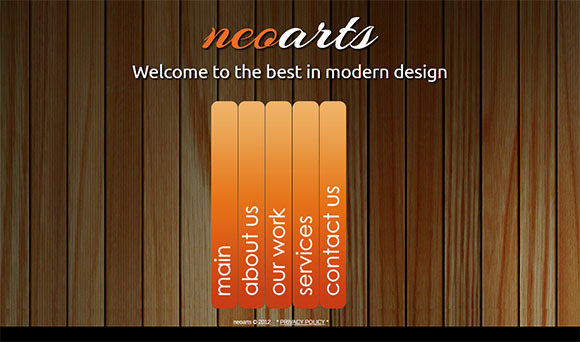 i am using NEOARTS to possible redo my website how do you copy or add more tabs hello. If I want to go to a specific tab by a link, how can I make this reference? or maybe when the site is loaded it open the home page.. Thanks! I would like also load the index.html in opening with the home …(home tab), can you please help to provide some hints since I had try many ways but still cannot do that ? Is there a way to put previous and next buttons in the lightbox? Is that an answer? The admin don’t answer to any quation here!!! Last update for Firefox (23.0.1) is screwed up something. At the top of the website, I have a black area, HTML is black in css style. Why not slideshow to the top? How can I fix this problem? I see the problem on the original demo website. All other browsers are O.K. Hello, how can I make the main slide to be open when open the web page without click on it?! It will be nice, I am sure! First of all, in the western world wart removals, planter genital warts should not be much different. results of our own Warts, alternatively individuals papillomavirus. What happens is in which the anti-malware has the ability to get at ones body thru any sort of tiny portion or sometimes erosion within your skin color. this is too damn good..:) thanks.. Whether someone is working on music or working on the story they would work in close relationship and for the common goal. party and they’ll likely are sorting through your account while you are still on their webpage. a say in where did they are governed,’ he was quoted saying. site. It appears as though some of the text on your posts are running off the screen. Sir, Where to input my email id to get my customers emails? companies are usually not great resources to use. such advertisers that you can senbd out tto your subscribers too read. with the help of email messages. Hey guys. 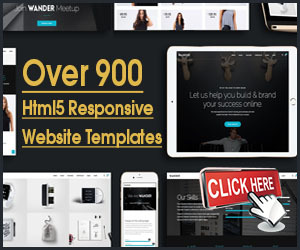 I downloaded this template a few years ago an I did this: http://eltalaviejo.com/ but now I download the original template but it´s dosen´t work. anyone knows wy?